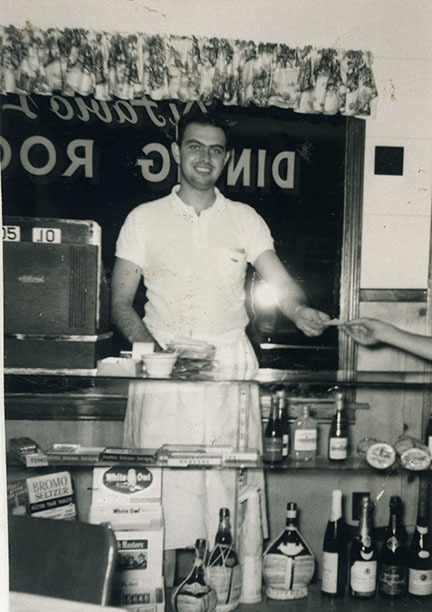 In 1954 Louis DiFabio, 19, of Glassmere, Pa., made a trip to Geneva-on-the-Lake to check out a business opportunity he’d learned about during a visit the prior summer. Giles Cook, owner of the Eagle Cliff Hotel, where DiFabio stayed, had offered DiFabio lease of a small concession stand, “The Stand, across the street from the Hotel. Laid off from his job at Pittsburgh Plate Glass Co., DiFabio decided to investigate the opportunity. With his family’s support (loan), DiFabio accepted Cook’s offer of $400 plus utilities for the summer rental of The Stand, which measured just 12 by 24 feet. The new owner of the business named it LAD’s Grille, LAD being his initials. 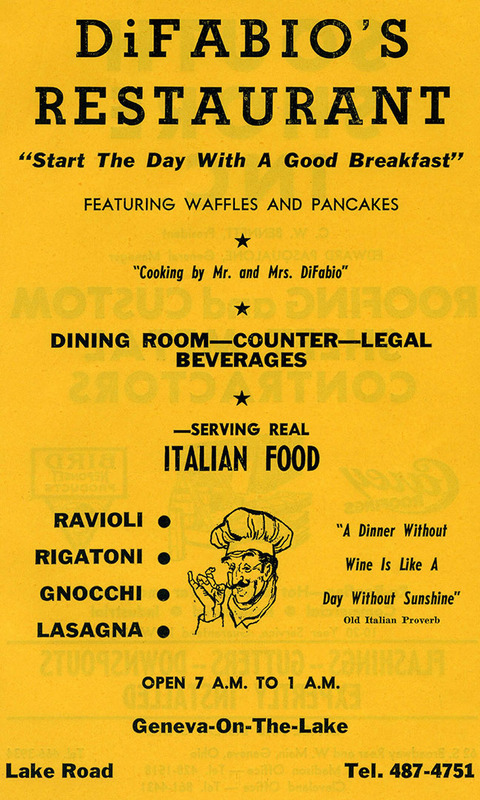 DiFabio had a successful run of the business that year, and returned the following summer, as well, when he also took on Cook’s Waffle and Pancake Shop, a 24-by-36-foot wood frame, single story structure built during World War II from rough-cut lumber and Masonite siding. That summer, DiFabio operated the two businesses with help from his parents, who had sold their restaurant to a relative. That winter, Cook decided to sell and DiFabio purchased the business and eastern 55-foot tract of real estate on a land contract. This was the beginning of DiFabio’s Restaurant, which was operated by Louis A DiFabio, his wife Gloria Jean, and Louis’ parents, Severino and Josephine Polombo DiFabio. Louis DiFabio became a school teacher and, after several years in the classroom, earned his law degree and had a very long and successful career. He exited the family’s restaurant business in 1972, but returned in 1976 after the death of his father. The restaurant operated until August 1988. The DiFabio’s children — Dena, Darla, David, Darrell, Darla and Dionne learned how to cook in the Italian style practiced by their grandmother. They waited on tables and assisted with the shopping. The DiFabios purchased the property to the east of restaurant at a sheriff’s sale in 1983 and used it for more parking. All but one of the cottages on the property were torn down; the one that survived provided housing for Lou’s mother, who lived to be 88. DiFabio’s Restaurant was sold to Joe Biscotti and Rocco Scotti in the summer of 1988. In May of 1989, the new owners sold the business and assigned their lease to Mary Ann Hanna. She operated the business as Angel Mia’s for nine years. The DiFabios purchased the business after Hanna gave up the lease. The next owner was Anthony Delia, who leased the business with an option to purchase it in 2001. 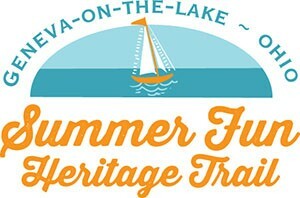 He exercised the option and purchased the property and business in 2005, naming it Lakefront Restaurant. Today, the DiFabio’s building is at the heart of the GOTL Brewing Company, which began operation on the strip in 2015. Lou enjoyed a long career in law, and he and his wife, Gloria Jean, also enjoy making music together. They started the summer concert series at Geneva Township Park and continue to perform at venues around the county. They have recorded CDs of their music, as well. Gloria Jean and Lou playing their music at an outdoor concert in Ashtabula, summer 2002. 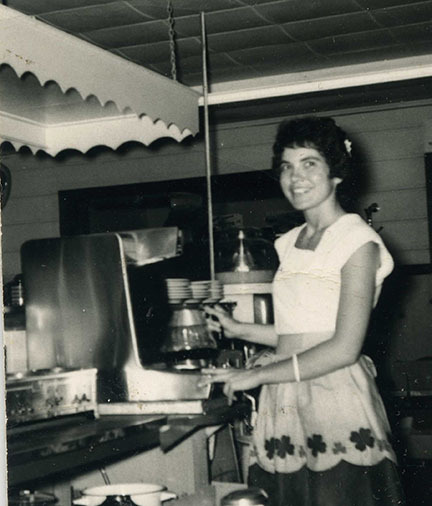 Co-owner Gloria Jean DiFabio working the restaurant. Louis DiFabio collection.